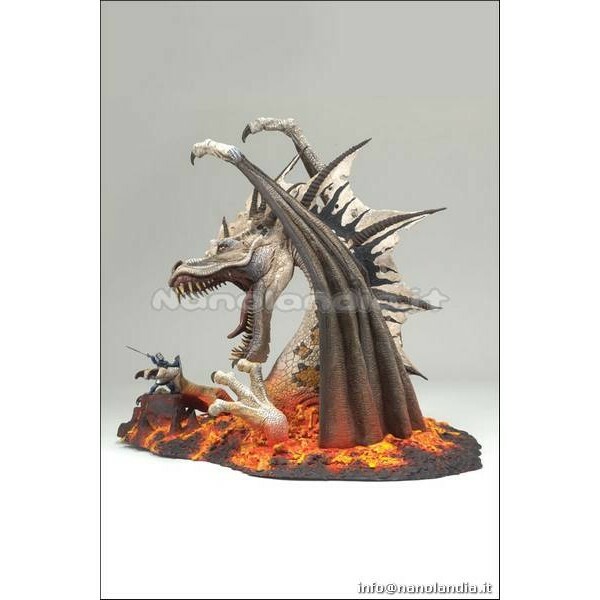 Within our on-line webstore we provide MCF DRAGONS 5 FIRE DLX BOX AF produced by MCFARLANE TOYS, synonym of high quality, made ​​of PVC and furnished packed in a BOX. This is an occasion not to be missed for the fans! 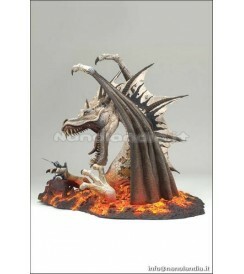 FFire Clan Dragons are rarely sighted and with good reason. They are among the deadliest and most dangerous of all dragons. Dragons of this clan are great hoarders of wealth. Habitat: Volcanoes and deserts.Height: The mammoth head, wings and talons of the Fire dragon rise 8" from boiling lava base. Articulation: Top of neck and at wrists. Detailed base includes human figure poised for battle.